METALLICA recently announced its first-ever spirit, dubbed Blackened American Whiskey after a track on the band’s 1988 album “…And Justice For All”. The spirit is a blend of American bourbon, rye, and whiskey that wasn’t just barrel-aged, but also sound-aged to the group’s own music. 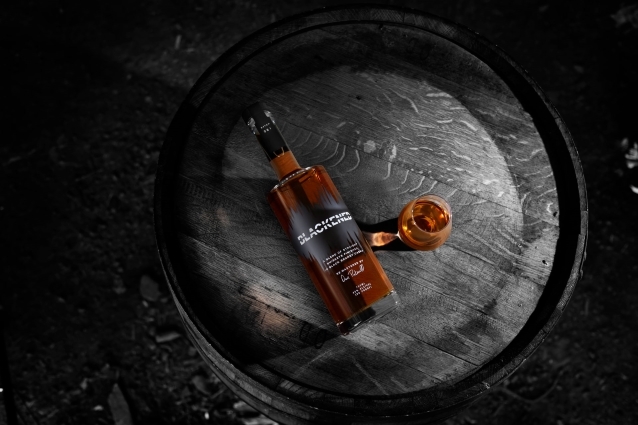 Blackened was created by acclaimed master distiller and blender Dave Pickerell, who worked at Maker’s Mark before his current position at WhistlePig. 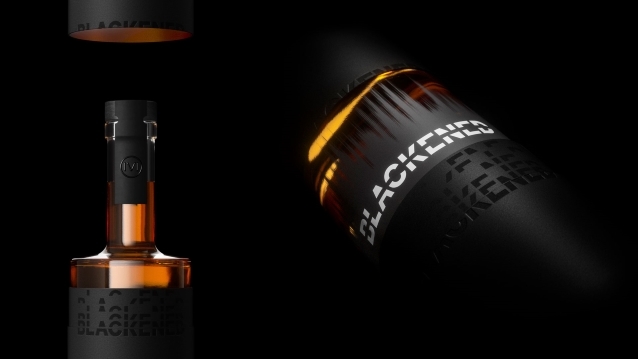 But what truly makes Blackened is “Black Noise” — billed as a patent-pending, “sonic-enhancement” process that uses METALLICA‘s music to help “shape the flavor” of the whiskey. Blackened is scheduled to launch this month, in time for METALLICA‘s current North American tour. It will be rolled out in California, Wisconsin, New York, and Florida by September 29 for a suggested retail price of $43.